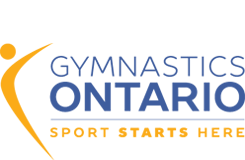 Question: How does the new Gymnastics Foundations Program work? A coach may choose any sport specific module they wish and may choose to attend as many as they like, however they must complete at least one module to complete their training. Question: If a coach has never taken an NCCP technical course before what courses must they take to become trained? Coaches may then take their Foundations Introduction, Foundations Theory and 1 or more Foundations Sports Specific courses. Coaches may take all courses in one weekend if the schedule permits. Question: How does a coach who has already completed the old NCCP Level 1 technical course now become certified? After submitting their practical hours form to GO and completing the Foundations Theory course, the coach will now be considered Level 1 certified. Question: If a coach has already completed an old NCCP Level 1 technical course do they have to attend the whole Foundations program to take an additional sport specific module? If a coach has already completed an old NCCP Level 1 technical course AND theory course they may jump in and take any sport specific Foundations module they wish without completing any of the previous courses. Question: If a coach is 15 years old are they able to attend the Foundations program? A coach who is 15 years of age may attend the Foundations program; however coaches may not participate in Level 2 or Competition Stream courses until the age of 16. Question: What if the coach will be 15 years of age shortly after the Foundations course runs, are they able to attend? Coaches must be a minimum of 15 on the day of the Foundations Introduction course.